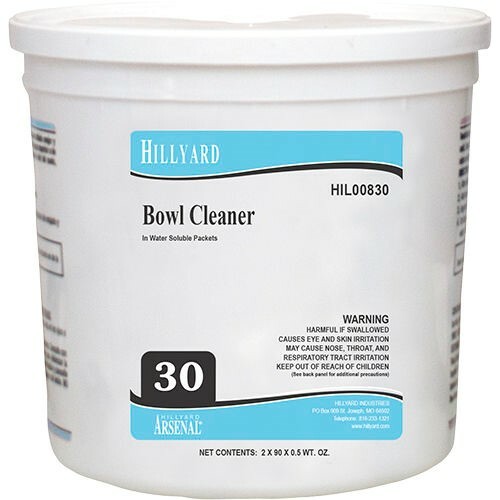 Bowl Cleaner is the simple, effective approach to eliminating tough toilet bowl cleaning problems. It is packaged in convenient, water- soluble, premeasured pouches that go to work quickly removing stubborn soils, lime scale, and urinary salts. Just add one packet of Bowl Cleaner to the toilet bowl, allow product to work for ten minutes, and then scrub with a bowl swab. When finished, simply flush bowl to rinse.